Once they commit to trimming their waistline, many people start to look for the quickest way to lose weight. That’s easy to understand as waiting to see measurable results for the work you put into losing weight can be frustrating at best and discouraging at worst. 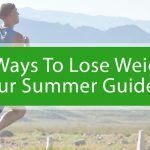 While there is no magic bullet when it comes to weight loss, some techniques and strategies can help you lose weight faster than others. The same is true for keeping weight off. Some strategies are simply more effective over the long term. If you want to drop some pounds fast but don’t know where to start, you may want to consider heading over to the grocery store. Yes, you read that correctly – the grocery store should be your next destination. Unfortunately, losing weight isn’t as easy as stocking your refrigerator and pantry with weight loss-friendly foods. If it were that easy, the nation probably wouldn’t have an obesity crisis. In many instances, people have to seek assistance to lose weight. If you want to find the fastest way to lose weight, you’ve succeeded now that you’ve found Dr. Weight Loss of Atlanta. Over the years, we’ve developed a medical weight loss program that really is the quickest way to lose weight for many people. Because everyone and every single body is different, we customize our medical weight loss plans to suit each one of our patients individually. To start, we’ll do an in-depth evaluation of your body and discuss your goals. We’ll then create a custom, natural weight loss plan that we guarantee will work. Our personalized medical weight loss plans are so effective that it’s literally impossible for you to not lose body fat, even if you don’t engage in more physical activity than you currently do. A lot of our patients drop between 10 and 30 pounds in the first 30 days they follow their custom weight loss regimen. 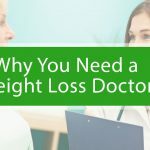 What’s included in our medical weight loss plans? A doctor-created diet plan and a personalized fitness plan. Most importantly, our constant support and a watchful eye that ensures you’re losing weight safely and responsibly are included in our custom plans. Now that you’re familiar with thequickest way to lose weight, it’s time to start your weight loss journey. Our team will support you every step of the way as you lose weight and take the steps that are necessary to live a healthier, more active life. To lose weight safely and quickly, contactDr. Weight Loss of Atlantaand start your journey with the support of our team today. Throughout his college years, Dr. Roig taught as a Personal Trainer, helping people exercise and diet more effectively while honing his passion for health. After graduating from Life University, he worked as a full-time chiropractor until 2002 when he decided to pursue his passion of helping people change there lives by weight loss. He has been helping people with weight loss for over 25 years. *Specific results mentioned in the testimonials are not guaranteed for every patient - each patient is unique and results will vary.